Meaning, please seat yourself. 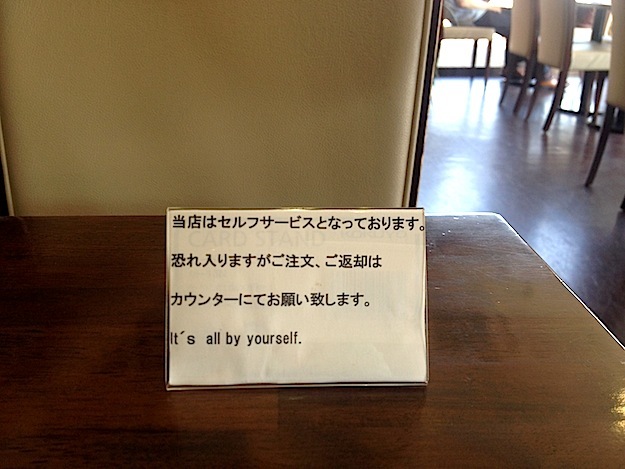 Or suit yourself and sit alone. You’re on your own. I’m the person who wants to win a European Scenic River Cruise for two and not take my husband. There’s someone else I have in mind. My friend, Kit, is my age, 60. For several years she’s been suggesting–sometimes gently, sometimes urgently–that those of us in book group together ought to celebrate our sixtieth birthdays together, on a river cruise. She’s thought it through, too, knowing that each of us wants something different out of travel. For the oenophiles, there’s wine; for the sedentary, there’s comfort in one place while the world moves by; for the physically active, there’s biking or other off-boat adventures. For us lifelong learners (aren’t we all?) there’s much to absorb from the river and the surrounding countries. Kit has researched some river “barging” trips, but none featured the Danube, none offered the on-board space and luxury of Scenic Cruise Tours, and none were all-inclusive. No others provided the enrichment activities that make Scenic Cruise’s Danube River Tour made-to-order for our book group. I think that’s already five reasons to win a European river cruise with Scenic Cruises. We sum up these reasons as “continuing education in the style to which we are accustomed!” Did I mention our book group consists mostly of college classmates? While we’ve collectively lived everywhere from Alaska to New York and Washington, D.C. to Seattle, the dozen women in our book group have all migrated back to Minneapolis, not in small part because we met at a ‘small liberal arts college in the Midwest.’ We challenge each other with book selections, we talk about the books (a little) and everything else (a lot), and we listen to each other’s personal stories and predicaments. Kit’s story is that she’s never married. She’s not the only single one in the bunch. But she’s painfully aware of her status and the constraints it seemingly puts on her ability to travel. She notices we talk of spouses and children, now weddings and grandchildren. She points out the financial inequities of living and traveling solo. She speaks of loneliness so that we’re reminded of our blessed lives with partners. She notices that some of us travel a lot and that we might not set aside the time to travel with her when we’ve already budgeted time or money or both to travel with family. So her trip ideas tend to dissolve into the group ethos. “Yes, that’s a great idea,” we say. “Wouldn’t that be fun?” But then nothing happens. I can’t think of a better place to travel alone, or with a group of great friends (or strangers) than on a river cruise. We can all be alone together! Now that Kit and I have independently decided to take this river cruise, who knows how many others from the book group will follow? Let everyone fend for herself, because we know at the end of each day we’ll gather around and love each other’s company. Oh, Kit, I hope WE do, too! wtf, I wanna go, too! Wait! This means Bart will be without adult supervision. Vegas, baby! Yes, there’s no place better to be without adult supervision than Vegas! Or does this mean you’ll be the guardian? Quis custodiet ipsos custodes? Like I say, it’s every man, woman, and child for himself. You ladies sound like a very fun bunch! I’m part of a book club as well but we haven’t thought of traveling together. I hope you win this river cruise, it’s gonna be a wonderful bonding experience. Thanks for joining the solo travel blog party! Thanks, Marcia. I enjoyed your Paris story very much. The anxiety is no big deal — when it’s in the past! Good going on your part. Thanks, Kristin. Glad you liked it. Thanks also for sharing your friend’s article. Going solo can not only be a challenge, it can be expensive!